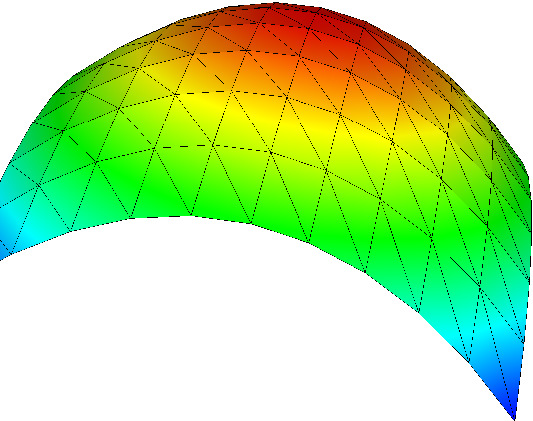 Results created by the finite element method can be a huge set of data, so it is very important to render them easy to grasp. 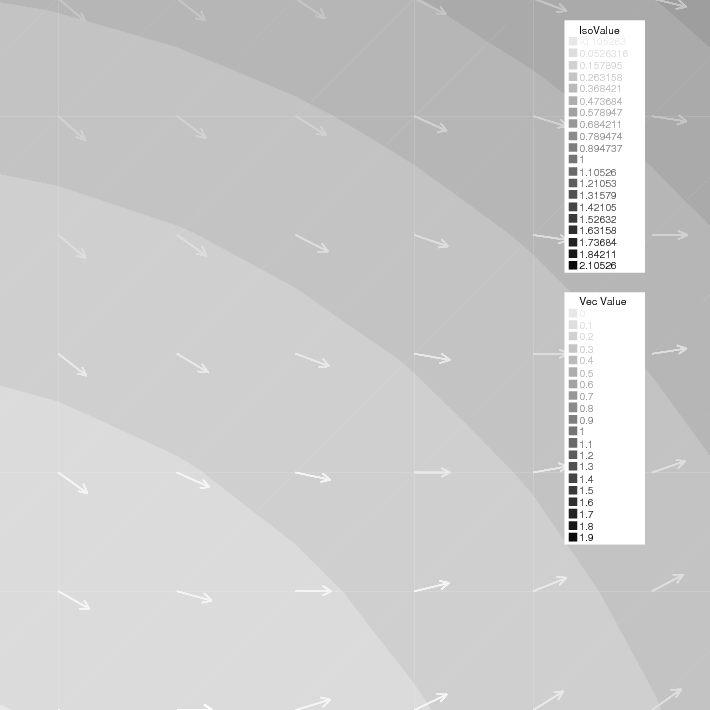 One, the default view, which supports the drawing of meshes, isovalues of real FE-functions, and of vector fields, all by the command plot (see Plot section below). For publishing purpose, FreeFEM can store these plots as postscript files. Another method is to use external tools, for example, gnuplot (see Gnuplot section, medit section, Paraview section, Matlab/Octave section) using the command system to launch them and/or to save the data in text files. 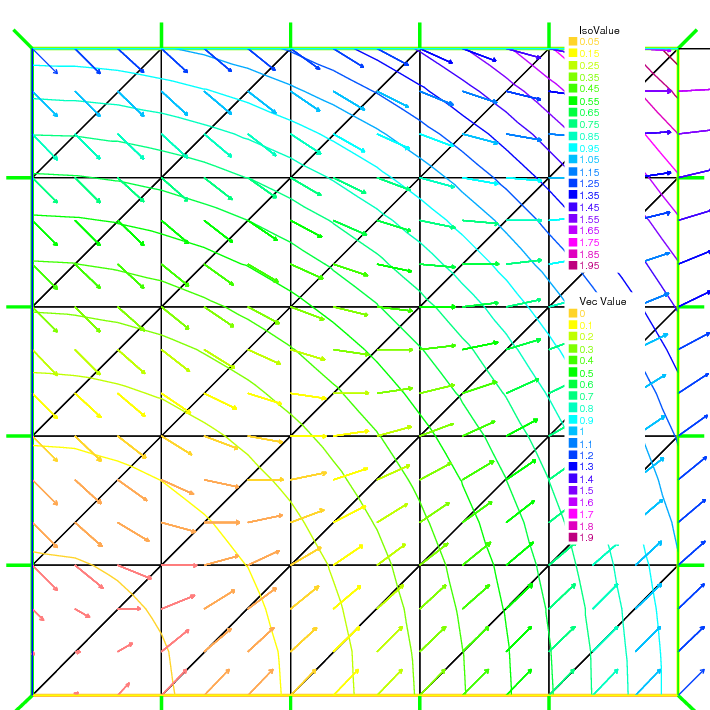 With the command plot, meshes, isovalues of scalar functions, and vector fields can be displayed. 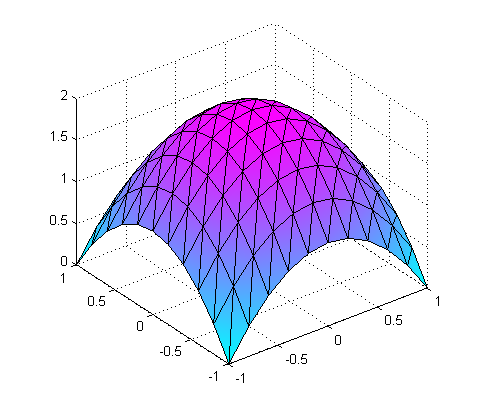 The parameters of the plot command can be meshes, real FE functions, arrays of 2 real FE functions, arrays of two double arrays, to plot respectively a mesh, a function, a vector field, or a curve defined by the two double arrays. The length of an arrow is always bound to be in [5‰, 5%] of the screen size in order to see something. 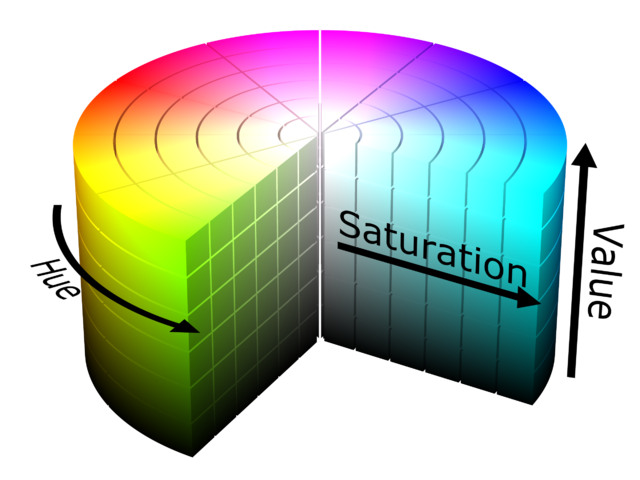 The plot command parameters are listed in the Reference part. See HSV example for the complete script. 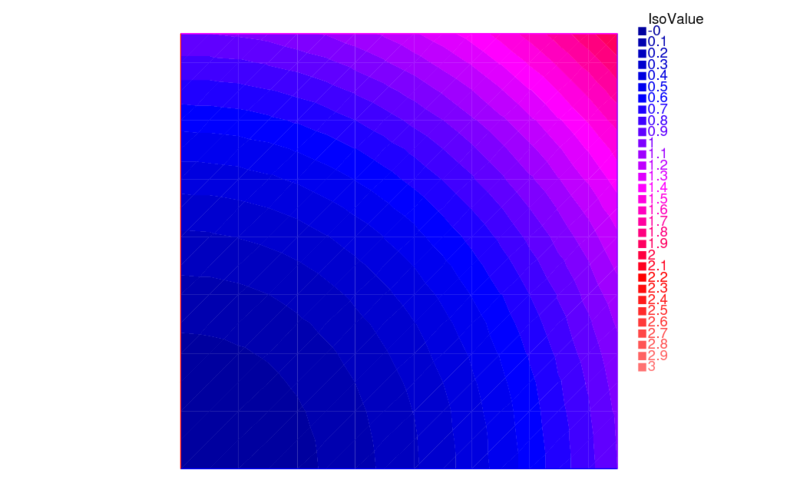 Example Membrane shows how to generate a gnuplot from a FreeFEM file. Here is another technique which has the advantage of being online, i.e. one doesn’t need to quit FreeFEM to generate a gnuplot. 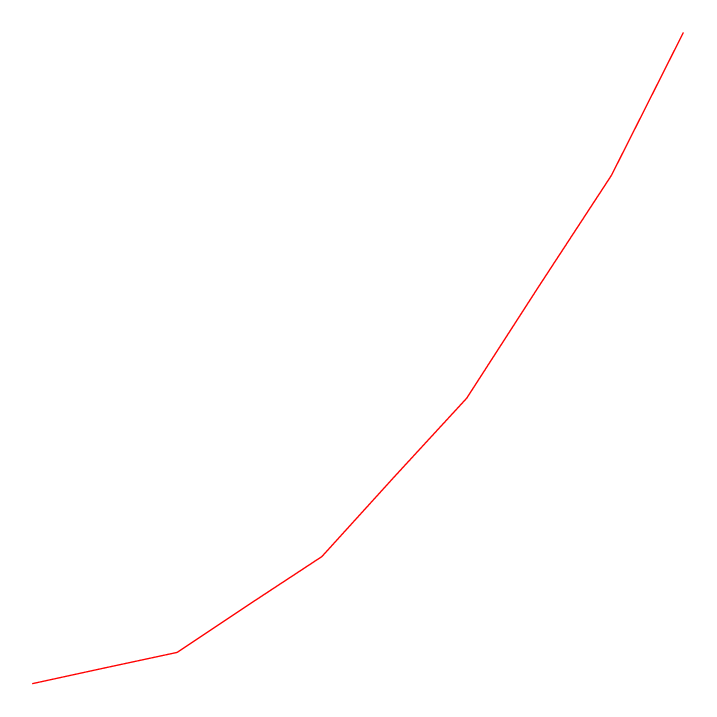 However, this works only if gnuplot is installed, and only on an Unix-like computer. See Plot example for the complete script. As said above, medit is a freeware display package by Pascal Frey using OpenGL. Then you may run the following example. Now medit software is included in FreeFEM under ffmedit name. The medit command parameters are listed in the Reference part. See Medit example for the complete script. One can also export mesh or results in the .vtk format in order to post-process data using Paraview. See Paraview example for the complete script. 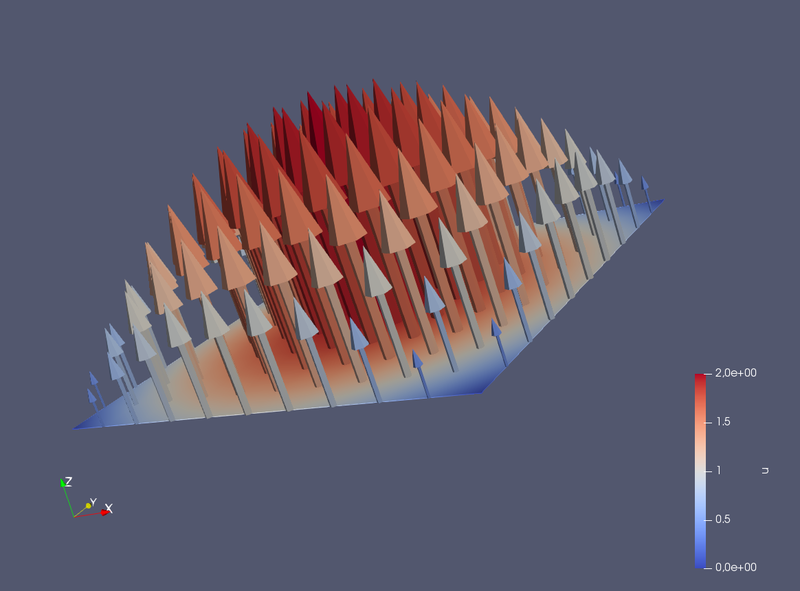 For more Matlab / Octave plot examples have a look at the tutorial section Matlab / Octave Examples or visit the ffmatlib library on github.